The latest product updates and exciting news shared by our founders at Atlassian Summit in Las Vegas. Today we mark an important milestone a decade in the making: our biggest Summit ever, here in Las Vegas. Scott and I are thrilled to spend this week with more than 5,000 customers, partners, and friends as we share our vision for Atlassian’s future, and the steps we’ve taken towards unleashing the potential of every team throughout the world. We’re so excited to host our Summit in Las Vegas, a city where anything is possible. Where you can ride a roller coaster high above a busy street, dine underwater with a mermaid, and see the Beatles brought back together (virtually) all in one night. And where two Aussie founders can celebrate a year of milestones for a company they started 17 years ago with no more than a credit card and a belief that with great teamwork, anything is possible. 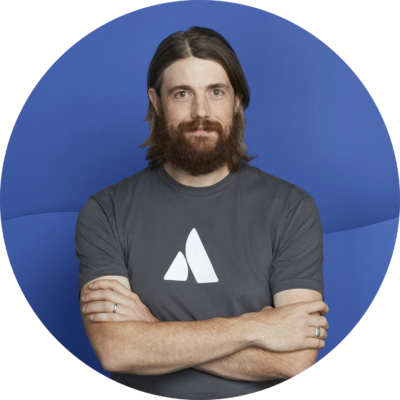 No matter how much Atlassian has changed over the years — in growing our company, our product family, our customer base — we’ve never wavered from that underlying belief. We’re excited to help you see what’s possible for your team with Atlassian, and are unveiling new features and updates to help you get the most value out of our products and services. This includes new incident management capabilities and integrations across the Atlassian platform, new ways to create and share content with your team, and significant performance and infrastructure enhancements to our self-managed enterprise offering. Follow along with the event on our livestream, and read more about our exciting news below. Following our acquisition of Opsgenie last September, the team has been hard at work developing advanced incident management capabilities that allow Dev and Ops teams to rapidly respond to, resolve, and learn from every incident. As the number and impact of IT incidents continue to grow, we’re bringing new features to help organizations operate always-on services for their customers. New incident management features in Opsgenie: We’re launching a new incident timeline to track response activities and key events, and postmortems to help discover root causes, track remediation work, and learn from every incident. Deep integrations into the Atlassian platform: We’re introducing a brand new user interfacealigned with other Atlassian products, powered by the Atlassian identity system to easily move between Opsgenie and Jira Software, Bitbucket, and Jira Service Desk for all related incident work. We’re also launching a new bi-directional integration with Jira Software to track incidents with automated or manual ticket creation based on incident alerts. Opsgenie Actions: This will empower customers to resolve incidents faster by automatically triggering predictable, repetitive tasks on third-party platforms such as AWS right from the Opsgenie console or mobile app. Statuspage services integration: The new integration will offer insight into the status of third-party services and the ability to trigger alerts if a mission-critical service goes down. Slack integration with Opsgenie Incident Command Center: Customers will now have the ability to conduct and track all chat conversations directly within Opsgenie. Edge Encryption: This will help customers secure sensitive data and meet compliance requirements by encrypting data with private encryption keys before it leaves the internal environment. More and more cross-functional teams at companies like Pepsi, Pfizer, and Adobe are turning to Confluence as the standard for content collaboration. In fact, around one in four Confluence Cloud customers use it throughout their entire company, according to a recent customer survey. At Atlassian Summit, we’re announcing 15+ new features to Confluence Cloud that totally reimagine its content creation experience. A visual and compelling editor experience: Today, people communicate visually and concisely in their personal lives (think emojis, GIFs, Instagram stories), but their written work product is still text-heavy and clunky. But it doesn’t have to be that way. New features that make your work more visual, more actionable, and easier to understand include slash command (you can add tables, images, emojis, and more with one keystroke), enhancements to make pages more visual, new templates, smart links, and more. Better-organized content: Teams struggle with information overload, whether they’re part of a small startup or big organization. New features that help organize your content include: improved navigation, more accurate search, people and team profiles, and drag n’ drop. Powerful new analytics: Have you ever shared a document with your coworkers and wondered if they actually read it? It’s a common frustration we hear about from a lot of modern office workers, which is why we’re adding powerful new analytics to Confluence by acquiring Good Software, a company that is best known as the maker of Analytics for Confluence, one of Confluence’s most popular third-party add-ons. Analytics will help teams understand how people engage with their work on Confluence, and admins understand how Confluence is being used. We’re excited to announce that AgileCraft is now Jira Align! This new name and logo reflects our vision of extending agile to the enterprise and better connecting teams, strategy, and outcomes. We’re extending the Jira brand, trusted widely for its unique power and support, to help large organizations scale the benefits of agile teamwork more widely across their companies. By bringing together a leading agile-at-scale solution with the number one software development tool, we’re empowering our customers and their teams to do their best work, no matter where they are in their agile journey. Increased user limits: We recently increased our cloud user limit to 5,000 users, and today are opening an early access program for select customers for up to 10,000 users. We’ve also doubled our AWS regions around the world, bringing Sydney, Singapore, and Frankfurt online in order to improve regional performance for our global customers. Security is our top priority: Security is mission critical, and we’re always looking for new ways to ensure our customers and their data are secure. Today, we’re rolling out encryption at rest for Atlassian Cloud customers. The newly revamped Atlassian Trust Center has more information on this and all of our major security, privacy, compliance, and reliability initiatives. New cloud migration center: We realize that moving to the cloud is a journey, and we’re with you every step of the way. We recently launched the new Atlassian Cloud Migration Center, along with migration assistants for Jira Software Cloud and Confluence Cloud, to help you automate moving spaces, users, and groups from server to cloud. We’re announcing significant performance and infrastructure enhancements to our self-managed enterprise offering, Atlassian Data Center. This year’s platform releases — Jira Software 8.0, Confluence 7.0, Bitbucket 6.0, Jira Service Desk 4.0, and Portfolio 3.0 — account for many of these upgrades. For example, based on improvements made in Jira Software 8.0, advanced searches using Jira Query Language (JQL) are 31% faster on average, agile boards load 2x faster, and re-indexing times are now 71% faster. At Atlassian, we want to play our part to combat climate change. It’s a huge problem facing the entire planet. But our core business is helping teams solve the impossible by breaking down problems into small, but achievable, steps. Today we’re taking our first step in combating global climate change by pledging that 100% of our energy use will come from renewable sources by 2025. To formalize our goal, we’re joining RE100, a group of influential global businesses committed to 100 percent renewable electricity. This is not an easy thing to do, but it’s the right thing to do. It’s an exciting commitment that will have a real impact. We hope other companies around the world follow our lead. We believe in doing our bit – stepping up and taking action to build a sustainable future. It’s what our staff want. It’s what our customers expect. And it’s what we must do for future generations.